In recent years, “virtual self-esteem” has grown dramatically in a world where nourishment at work and at home are in steep decline. 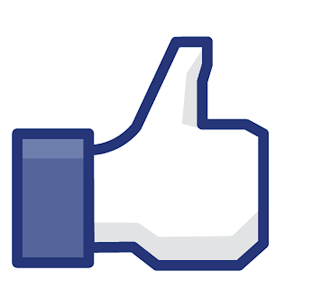 A virtual “like” has become the most popular human activity on the planet—even more popular than real love. Reality can’t compete with the speed and volume of virtual responses. Text Messaging is more frequent than hearing a real voice. Facebook instantly notifies you when someone liked you (virtually), became a friend (virtually) or added a comment to recognize what you did (virtually). 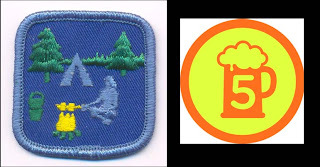 Foursquare makes you feel like a virtual mayor of some place, giving you badges of honor like a Boy Scout or Girl Guide for doing nothing but check-in. One badge you need to stitch on after you do a good deed. The other you can just drink enough beer and become Mayor. Virtual self-esteem has driven addiction to social media. To be sure, there are meaningful posts and comments, but social media does not measure meaning or depth. It is more about the status of what you are doing – which can be as banal as saying how cold the weather is or complaining about something free like social media. It’s recognition for literally doing nothing. Free anytime, free anywhere. This is especially enticing for the lonely and recognition starved in today’s fissured world where one third are working at home alone. How many views, how many friends, how many followers, how many notifications, how many mayorships, how many comments to notice you in the feed...it's how social media measures. But it’s a strange way to measure oneself. Substance doesn’t matter in a virtual world. People complain more online about the meaningless than face to face. “Speed is the most important feature.” People want frustration recognized fast. People want recognition fast. Feelings today are expressed more virtually today than in person. It’s a democratic system. But even the brightest minds don’t spend every waking hour doing something substantial. Most hours are spent otherwise. 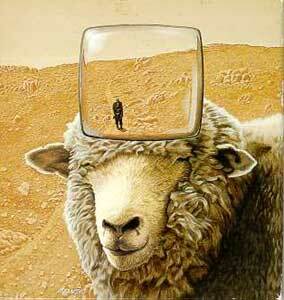 And this is reflected democratically in social media. But what happens to us when we intake everyone’s fast thoughts virtually every hour? 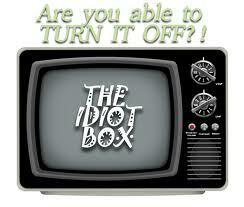 If TV can be called the “idiot box” what is social media that is “idiot proof”? Even the art of instantly making a good picture or giving you status for the shortest possible thoughts are instantly rewarding. You’re published! Social media rewards you for something that ironically will also be instantaneously forgotten tomorrow or even in the next hour. Do you remember what you wrote 2 days ago? Permanence is not a factor in virtual socialization. This is driven partly by the artifice of internet metrics. The brightest digital inventors are heavily swayed to get the most eyeballs, unique visitors, and views in the fastest way possible without asking people to do much. Heavy lifting is a cardinal sin in the internet world. And so inventors “dumb down” what you need to do. You don’t even have to pay personal attention to anyone you invite to an event or cause, there is automated spam. This sounds like a scathing critique but I was tasked with looking honestly at how people get attached to social media. Specifically, I was looking at how social media scales in popularity most--independent from what's meaningful in a virtual world. Instant recognition is a key factor in virtual popularity. Giving a virtual “like” makes someone’s day more than anything else in frequency. I wouldn’t even know what is second most. The most popular human act in the world. And today someone's suing believing they own the rights to this act. In HR, it’s no secret that recognition is more important than money. It’s also why titles like VP, of this and that, duplicate redundantly or don’t actually say what you do. It’s for recognition. There is good of course in social media beyond virtual recognition. There are clearly great benefits in long distance interaction, connections made, mobilization, awareness, daily dialogue, information, creativity and sharing moments. Revolutions have even started online. I see friends everyday online, but suddenly years pass without having seen many friends in person. Though I want to in person, I feel I have online. Before virtual connectivity, I think I made a greater effort to see people more to stay connected. I had a physical address book for visits. Now I don’t even have addresses. People have also gotten far more busier to meet in person. I no longer know anyone who isn’t busy. Today I am in search of scaling greater meaning. And tonight I’m going out.